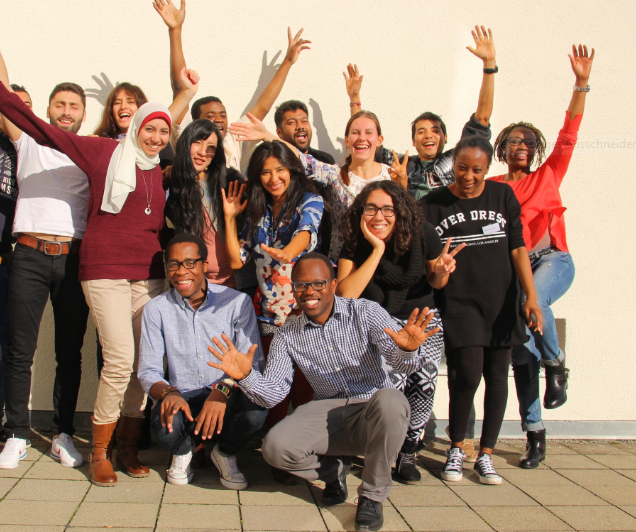 The study supporting programme STUBE Baden-Württemberg enables young people from Africa, Asia and Latin America to pursue their studies in development policy. Director Angelika Weber on her work, the importance of the community in a foreign environment and the cultivation of options for her students to return home. 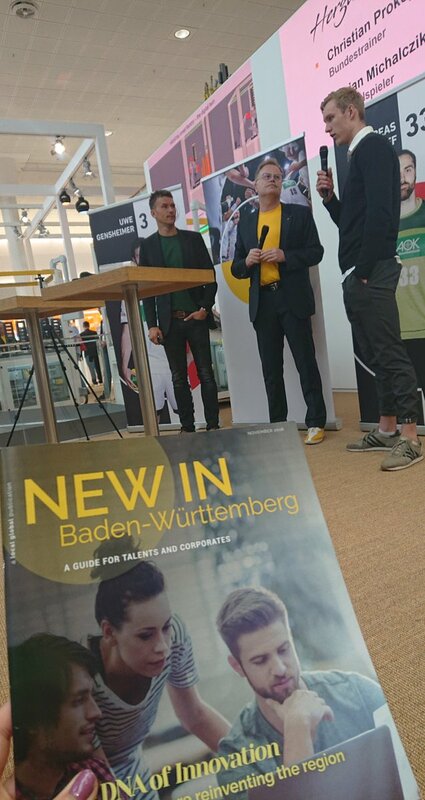 In the Wintersemester 2015/2016, Baden-Württemberg’s universities counted around 35,000 foreign students. Among them, more than half originate from Africa, Asia or Latin America. But the country or even continent of origin is not the decisive factor when it comes to the challenges met while studying in the Federal State. Certain difficulties arise for everyone coming from abroad. The young newcomers are confronted both with the new and foreign content of the university courses and the integration into a new culture. 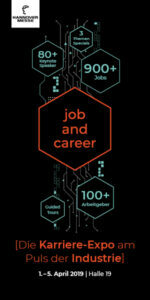 Finding one’s way around university and working life is difficult for many students not yet familiar with the processes of Germany’s upper education system, labour market and society as such. In order to help the young newcomers take their first steps in Baden-Württemberg and to support their studies, the study accompanying program for students from Africa, Asia, Latin America and Eastern Europe – in short STUBE – was established in Stuttgart. 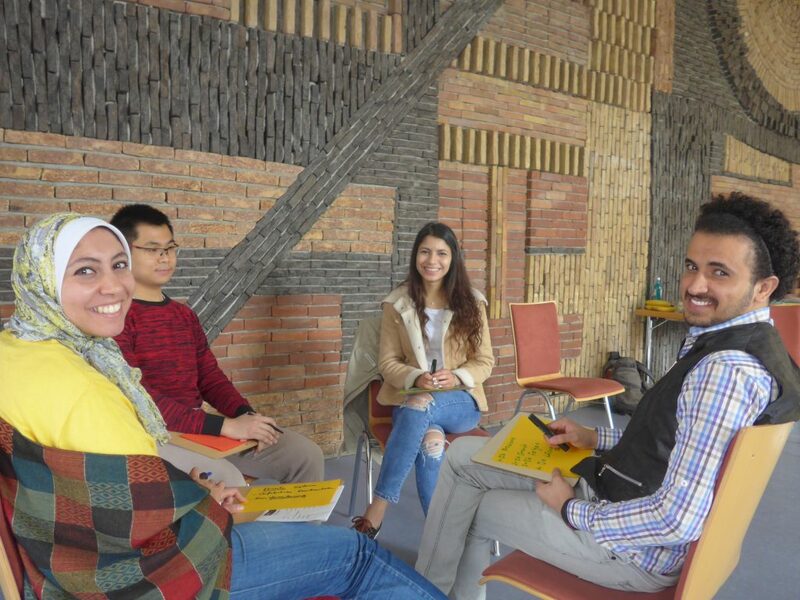 The program is an intercultural, interreligious and interdisciplinary education program that is concerned with both the further education of the students here in Baden-Württemberg as well as with their preparation for the return to their homelands when it is time. STUBE is supported by the Evangelical Lutheran Church of Württemberg and is also funded by funds from the Evangelical Church of Baden, Brot für die Welt (German for “Bread for the World”), the Diocese of Rottenburg-Stuttgart and the State Ministry. The special feature of STUBE is that the program deals predominantly with so-called “freemovers” – that means students who enter Germany without a scholarship and have to finance their studies from their own pockets. Angelika Weber, director of STUBE in Baden-Württemberg, explains the particular difficulties that students coming from Africa, Asia, Eastern Europe and Latin America are facing in the Federal State: “To be able to enrol here, those students are demanded to have a bank account with an amount of approximately 8,000 euros, which must be renewed again and again. They do not have access to this money, the account is locked. That’s why the young people coming to study here make their living in the evenings, on weekends or in the semester break all by themselves. They have expenses between 600 and 1000 euros per month, everything including housing, insurance and food, so they have to live very economical and modest”. STUBE is not a scholarship program, though. The educational offers provide development-related training and awareness through various seminars and workshops. These are divided into ten weekend seminars and several day seminars, which are spread throughout the year and cover topics like health policy, climate change, racism, development policy or food security. “You have to imagine STUBE as development-related studies,” says Angelika Weber. In addition to the acquisition of content related knowledge, these seminars also are a possibility for the students to share their opinions and views with each other – professionally as well as privately. 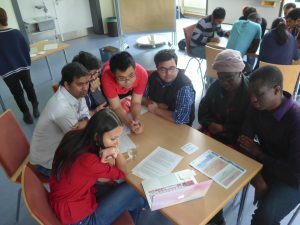 Karen is from Kenya and is studying Planning and Participation in Stuttgart. Nine years ago, she came to Stuttgart as an au pair. Although she feels well in Baden-Württemberg, she was often lonely at the beginning of her studies. “I did my bachelor’s degree in Tübingen and was the only one from Africa there” she recalls. “At STUBE, I’ve met a lot more students who have the same experiences as me. STUBE has given me a sense of a community”. However, for Karen, STUBE is important also for other reasons. There is a lively exchange among the students at the offered seminars, she says. Whether it’s job search, an apartment or any other difficulty – the seminars serve the students as a way to build a network and help each other. STUBE not only supports the students in their integration process, but also provides them a platform to talk about their home countries and to impart knowledge. The multiplier program serves exactly this purpose. In the framework of this program, students take part in three particular STUBE seminars as well as in a coaching, which gives them methodological and substantive suggestions and qualifies them as speakers in schools or similar institutions. In those institutions, the young students are offering interactive lessons on a topic of their choice. “It feels like integration from both sides” says Karen, who has been a referent in the multiplier program twice. “Knowing that you are contributing to the learning process of the people and, in particular, knowing that they hear this way about my country is a good feeling”. In addition to the multiplier program and the development policy seminars, there is the option of returning to the homeland that makes STUBE special. The program supports pre-vocational internships and study visits (BPSA) in the respective home countries of the students. If a student wants to travel to the home country for a thesis related research or for an internship, STUBE supports the project with taking over the flight costs, the health insurance and a pocket money of 300 Euro. In order to be considered for such a country exchange, students have to visit two STUBE seminars and make an application pointing out the developmental relevance of their stay. Karen herself was in Kenya two and a half years ago as part of BPSA and worked there for four weeks on a project on slum upgrading. The program gave her a lot of self-confidence and relief, as she says: “Knowing that you can go home and have the opportunity to find work there has calmed me down a lot,” she says. First, however, she would like to gain work experience in Germany in order to be able to apply her knowledge in her home country. That’s exactly what STUBE is all about, says Angelika Weber. “With our programs, we want to help our students return to their homeland as highly qualified specialists who will incorporate development-policy contexts into their thinking and decisions”, she says. “My hope is that they can go home after five or ten years”. Of course, she also has an understanding for students who want to get a good job in Baden-Württemberg and stay. “Economically it’s a great location here”, she says. Nevertheless, Angelika Weber sees the location of Baden-Württemberg rather critical for students from non-EU countries, especially since the winter semester 2017/2018. The problem is the newly introduced tuition fee for non-European students that makes the latter pay 1,500 euros per semester for their studies in Baden-Württemberg. Up to now, this regulation only applies here, but North Rhine-Westphalia aims to follow. This amount of money is hard to raise, especially for many students from Africa. “The students have to earn their living expenses anyway and now they have to pay 250 Euros per month in addition. Many will not be able to handle that”, says Weber. She presumes a shift in the inflow of students from Latin America, China and India to Baden-Württemberg. An additional burden for the students and also for STUBE is the regulation that non-European students aiming to do their Master degree also in Baden-Württemberg are again considered first-year students. Those students have to pay continuously the 1500 Euro tuition fees per semester. “Of course, this is also critical for STUBE, precisely because of the multiplier program: I educate the people here but they leave for the Master’s degree and go to another Federal State where no tuition fees are required”. For this reason, Angelika Weber is sharply criticising the State Government and the Ministry of Science, Research and the Arts. ”There were suggestions that students from non-EU countries with low average earnings should be exempted, especially those from the ACP countries (Africa, the Caribbean and the Pacific area). The law allows exceptionally gifted students from these countries to be treated less sharply with the tuition fees. But these exemptions may only be five percent of the international undergraduate students. Others must also have the same chance!”. The interview with Mrs Weber was held by our colleague Marcellina this April.